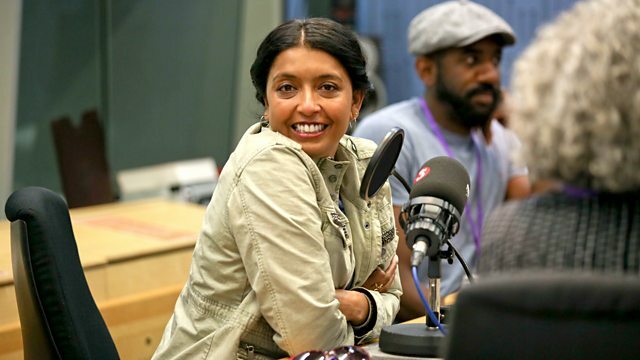 BBC Radio 4 - Loose Ends, Robert Harris, Sunetra Sarker, Patricia Cumper, Rhashan Stone, Rostam, Anna Leone, Arthur Smith, Clive Anderson. 'Imperium' Parts I and II run at London’s Gielgud Theatre until 8th September. 'I Know Why the Caged Bird Sings' starts on Radio 4 on 18th June. 'Ackley Bridge' is on Channel 4 on Tuesdays at 20.00. The first series is available on All4. 'The Strange Death of John Doe' runs at London’s Hampstead Theatre until 30th June. 'Half Light' is available now on Nonesuch Records. Rostam is playing at The Haunt, Brighton on 13th and Scala, London on 14th June. 'Wandered Away' EP is available now on Half Awake. Anna is performing at St Pancras Old Church, London on 26th September.